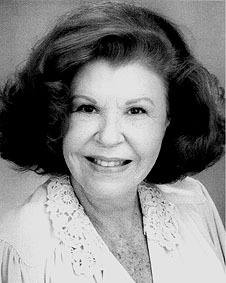 Betty Bunch began dancing professionally as a college student while earning her degree in dance from the University of Texas. She soon began working with the Moro-Landis dancers and made her home in Los Angeles. She danced in the evenings, and worked on movies during the day. In 1956, Bunch landed her first job in Las Vegas at the Sahara Hotel as part of the opening line for Donald O’Connor. After that show closed, she returned to Los Angeles, where she made her permanent home. She went on the road with Louis Prima and other shows. After one show closed, Bunch came to Las Vegas to vacation. While waiting for her ride back to Los Angeles in a coffee shop, she was offered a position at a show in Las Vegas, and she decided to move permanently to Las Vegas. She continued to dance, sing, and do comedy until after the birth of her second child. At that time, she retired from the Las Vegas showroom, but not from show business. She continues to be involved in the entertainment industry in Las Vegas.